As a family enterprise, we set extraordinary standards in the quality and safety of our measuring and testing equipment. 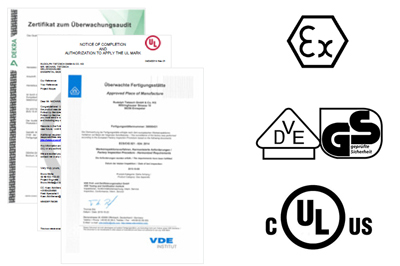 With our high-quality products, we provide our customers maximum safety within electrical systems. Tradition and innovation, complete manufacturing and quality control in Germany, as well as customer-specific solutions in various application areas are the strengths and the guarantee of the quality promise of Tietzsch. Our family business is very close to human beings and nature. To assume social responsibility means to deal with ecological resources in a responsible manner. In this sense, we have developed completely maintenance-free voltage testers with innovative and particularly power-saving circuits. These work with all additional functions without batteries. 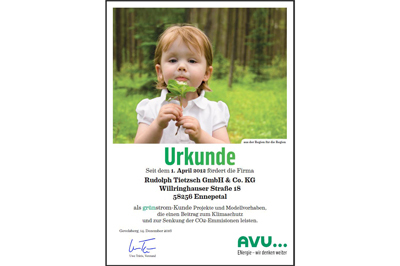 For production processes in our company, we have taken voluntary measures to reduce CO2 emissions. We almost exclusively use regenerative energies. Electricity, which can not be generated by own solar systems, is supplemented by regional green power. Additionally we installed heat pumps, which operate with regenerative energy and therefore are a significant contribution to environmental protection. 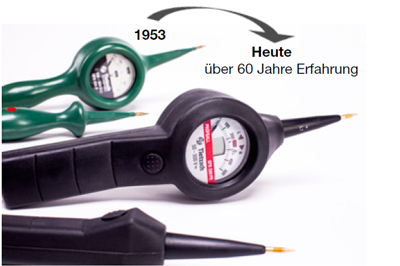 Already in 1953, we were able to manufacture the particularly robust and safe „Prüfball“ with its innovative dust-proof rubber housing. 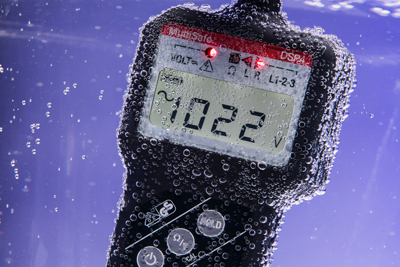 Today, we develop and produce voltage testers, high voltage testers and explosion-proof devices under highest quality and safety requirements and offer customised solutions tailor-made applications. Easy operation and reliable displays underline the functionality of our devices and correspond with today‘s customer requirements. Our measuring and testing equipment is subject to constant quality control. Regular production monitoring is carried out by VDE, UL and DEKRA.